Würzburg is a city in Germany located in the northern state of Bavaria. 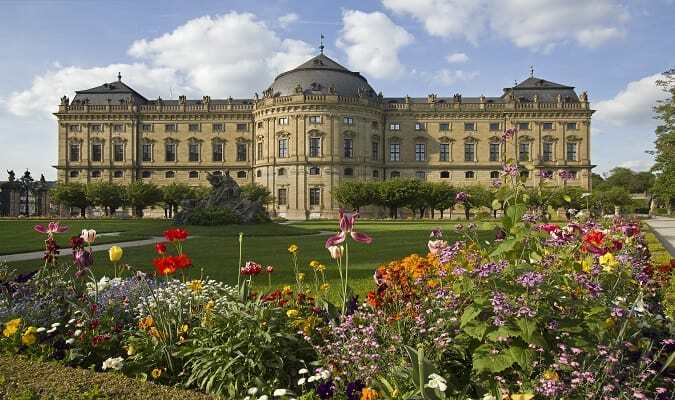 The Residenz is a palace with Barroque style built between 1719 – 1744. It is a symbol of the city. The Hofgarten is located next to the Residenz. The garden has many Baroque sculptures, including ornamental vases. 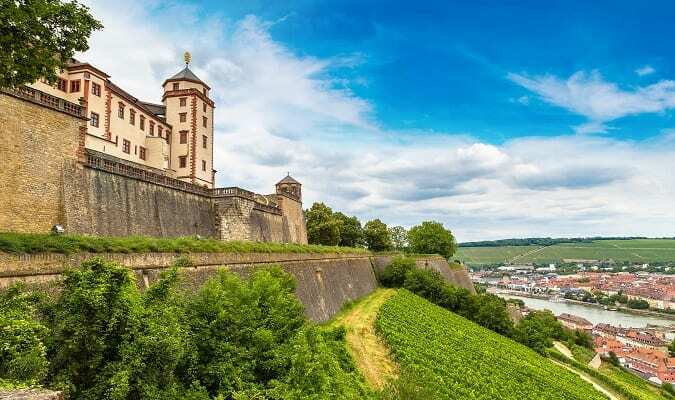 The original castle on Marienberg, a hill from the end of the Bronze Age, was probably a fort built in the 8th century by the Dukes of Franconia-Thuringia. After the invasion of the castle in 1961 by the Swedish, a circle of bastions was built to protect Marienberg. In 1945 the fortress was almost completely burned and its reconstruction was completed in 1990. It currently functions as a museum and park. 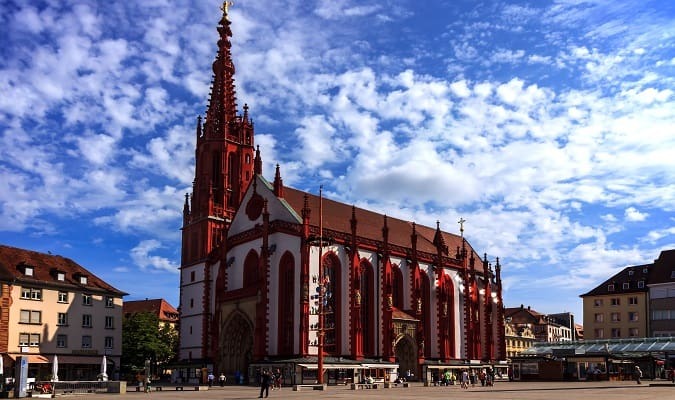 The Würzburg Cathedral is the fourth largest Romanesque church in Germany. It is notable for its beautifully restored interior. The Marienkapelle was built between 1377 – 1479. 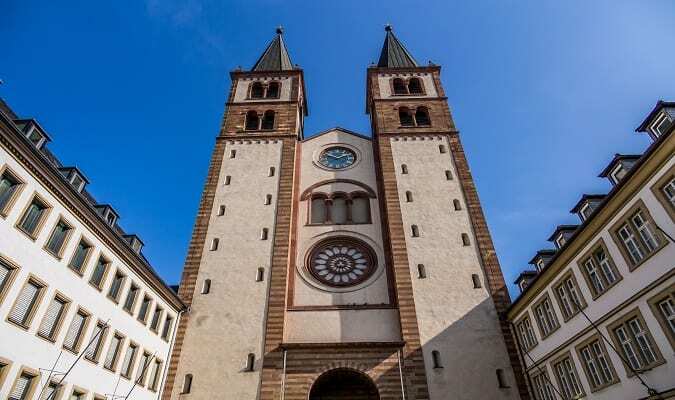 It is located on the Marktplatz. The Alte Mainbrücke is the main old bridge in the city. It is a magnificent structure lined with baroque statues of saints. Major fashion networks are found on the Kaiserstrasse and Schönbornstrasse streets. In the vicinity of the Marktplatz square there are several boutiques and cafés. The Novotel Würzburg has a central location close to the Train Station. 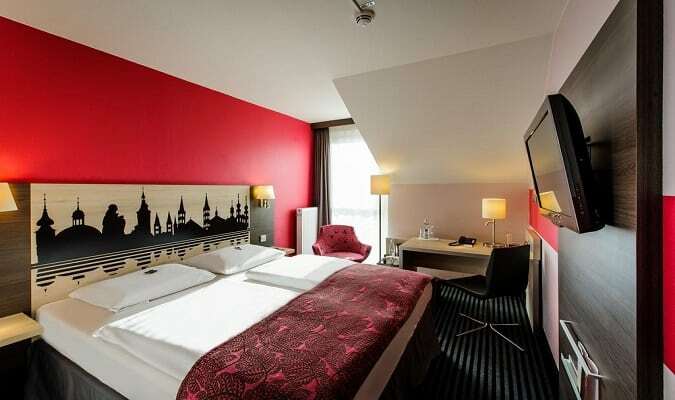 The Mercure Würzburg is located a 5-minute walk from the historic city center. The hotel has 116 rooms equipped with a TV, coffe maker, safe. 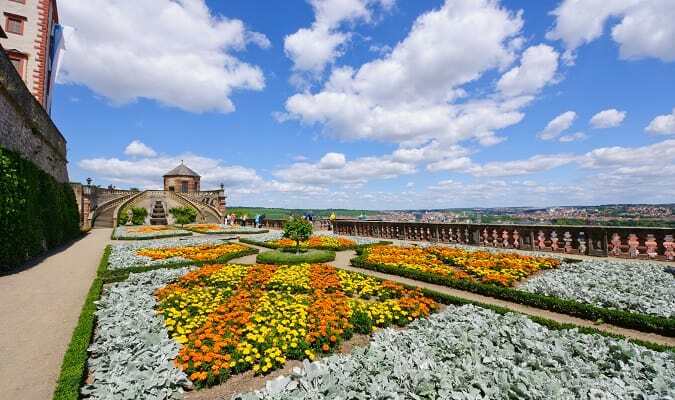 The Maritim Würzburg is located 600 meters from the historic city center on the banks of the Main river. Rooms are equipped with a TV, safe, minibar. The hotel has a swimming pool and sauna. 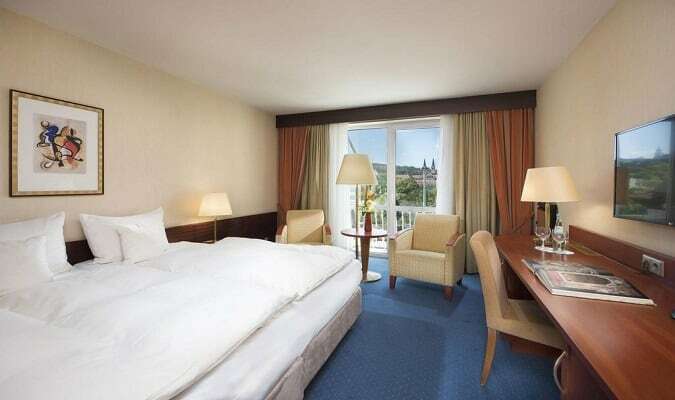 The Best Western Premier Rebstock Würzburg is located in the heart of the city close to the Residenz. 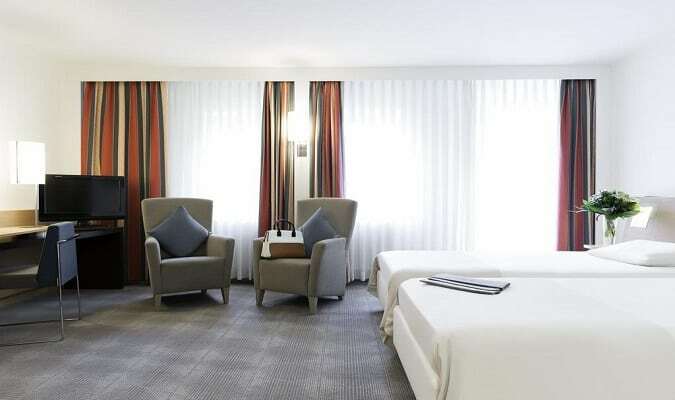 Rooms are equipped with a TV, work desk, safe, minibar, coffee maker. 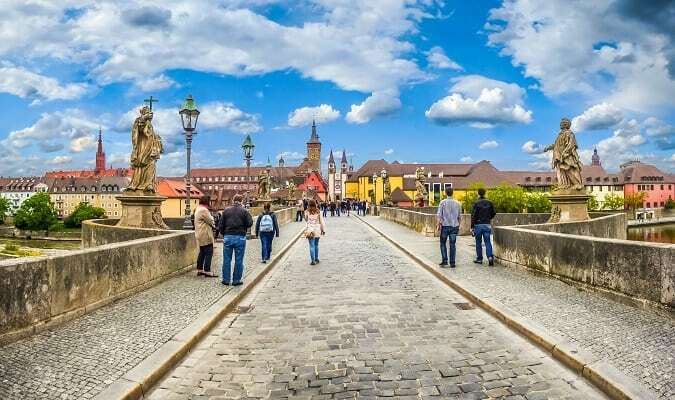 Würzburg has easy train access from various cities in Germany. Famous cities nearby: Frankfurt, Nuremberg.